I keep a bag of frozen chicken tenderloins or chicken breasts in my freezer at all times. My two favorite brands that taste the MOST CHICKENEY (yes, I'm using that phrase) are Perdue Perfect Portions and the Trader Joes frozen chicken. Not being paid to say that, just my honest two cents. I've pretty much stopped purchasing my grocery store brand chicken after tasting those other two brands. They are a little more expensive, but worth it. Here are a few of my tried and true chicken recipes from my Pinterest board dedicated entirely to poultry (here, if you want to check it out). 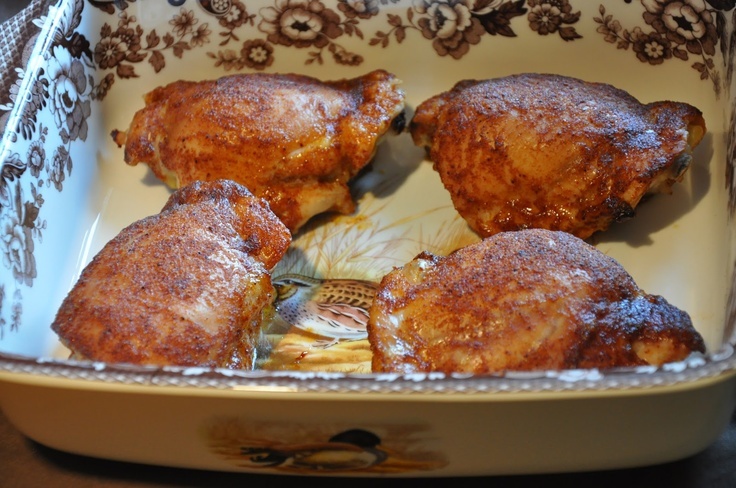 The chicken thighs are not usually pieces I typically keep on hand, but they often go on great sale at my grocery store, making this a very budget-friendly entree to serve. And you could easily adapt the recipe to use the rub on tenderloins or chicken breasts! These looks amazing - thanks for sharing! 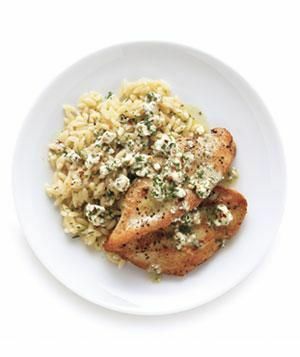 I think I'm going to try the goat cheese vinaigrette on some tilapia -- it looks so good! The Honey Mustard Pretzel Chicken looks amaZing!! Honey mustard pretzel chicken sounds great! I always keep chicken frozen too!